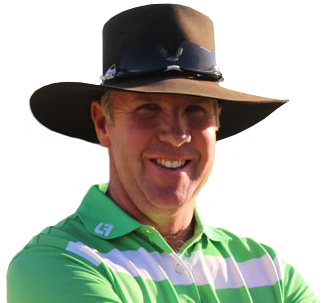 Pocket Bunker™ will improve your bunker shots through accurate simulation of bunker play - no sand required. 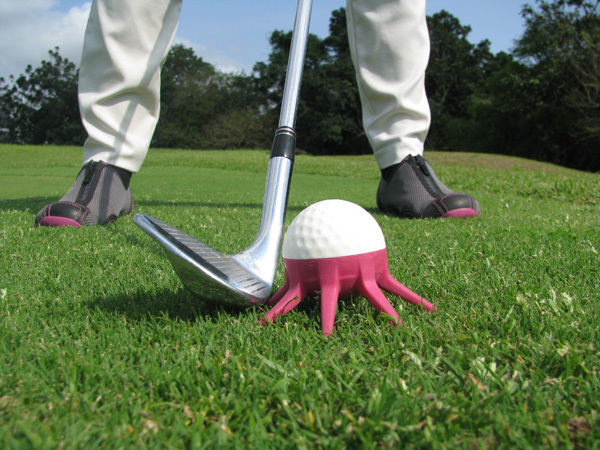 Small enough to fit in your pocket yet tough enough to take a beating, your Pocket Bunker™ is simply the easiest, cleanest and most effective way to improve your bunker shots, anywhere, anytime. 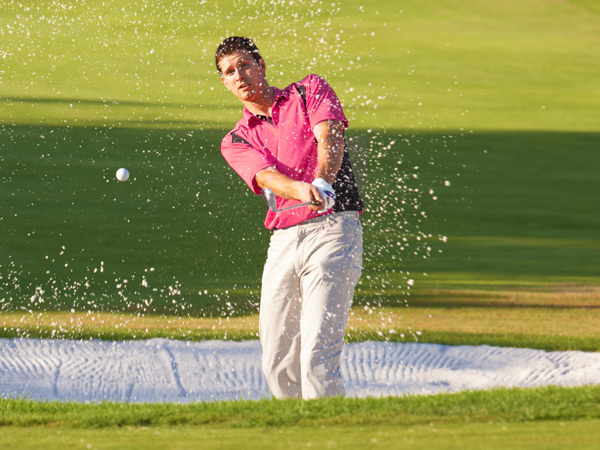 Pocket Bunker helps you to miss the ball consistently, with confidence. Ball towards front of stance. Address the ball as if you want to make clean contact with it. With the club face removed from the ball area, dig your feet about an inch into the sand in order to lower your hands. 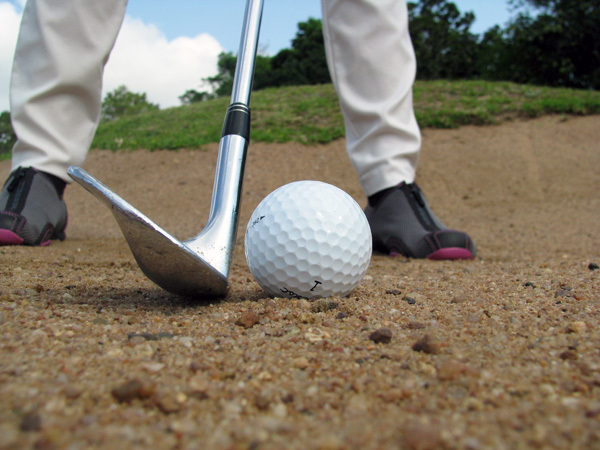 Keep your stance the same and make a normal swing. 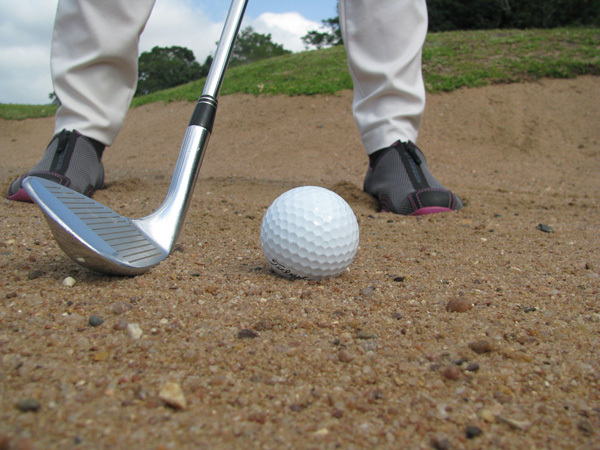 The club will enter the sand about 2 inches behind the ball, “Taking the legs out” from under the ball. 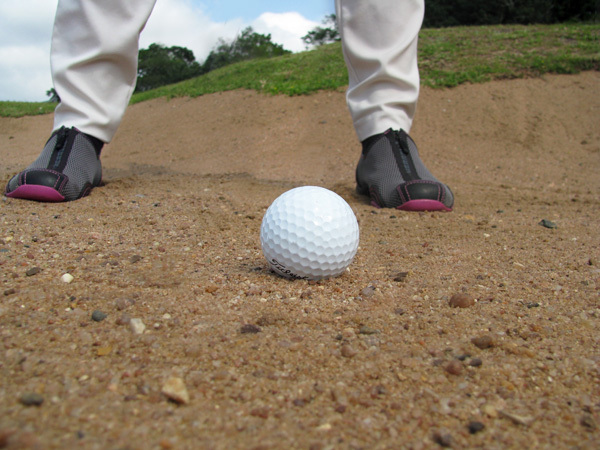 The golf ball portion of the Pocket Bunker is elevated about an inch in relation to your feet when standing on grass, creating the hand-to-ball relationship as when in the bunker. “Taking the legs out” from under the ball will get you out, everytime.